Former England football captain Terry Butcher has said he is "devastated" after the death of his son Christopher aged 35. 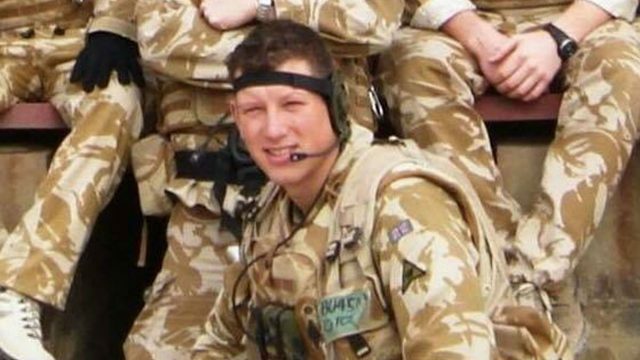 Butcher, 58, said his son's life had been "tragically cut short" and described him as a "dedicated captain in the British Army" after serving in Afghanistan with the Royal Artillery. A statement signed by the Butcher family including Christopher's widow Laura said: "Chris 'Butch' Butcher was a beloved son, brother and husband. "He was a formidable and true friend and a remarkable, loyal leader and soldier. "Chris was a dedicated captain in the British Army and we are all so proud of everything that he gave for his country. "Chris was a larger than life character whose personality, laughter and compassion touched the hearts of all who were fortunate to know him. "He always put others before himself and was a true and trusted brother-in-arms. "His life has been so tragically cut short, but we will cherish and treasure the memories we all shared, forever." The Butcher family thanked people for the "overwhelming number of messages" following his death on Monday, which they said were "a testament to how much love and respect surrounded Chris". Our heartfelt sympathies are with Terry Butcher & Family on loss of their son, Chris. Our thoughts are with them all at this difficult time. Can't imagine the pain Terry Butcher and family are enduring tonight. Love, strength and much peace to a lovely man and his family. "We are all devastated by his loss and thank you now for allowing us some time to ourselves, to grieve and come to terms with his passing," their statement added. In a statement issued earlier this week, Christopher's brother Ed described his late brother as his "hero" and said a funeral date would be released in the near future.